Silhouette Body Oil Mon Deconatur. Slimming, Eliminates fat in a natural and effective way. Provides hydration, elasticity to your skin. Silhouette body oil, slimming. Eliminates fat in a natural and effective way. The Silhoutte body oil has a triple effect: lipolytic, reduces fat, purifies, promotes the elimination of toxins and shaper. In addition, its nutritional formula provides hydration, elasticity and flexibility to your skin. 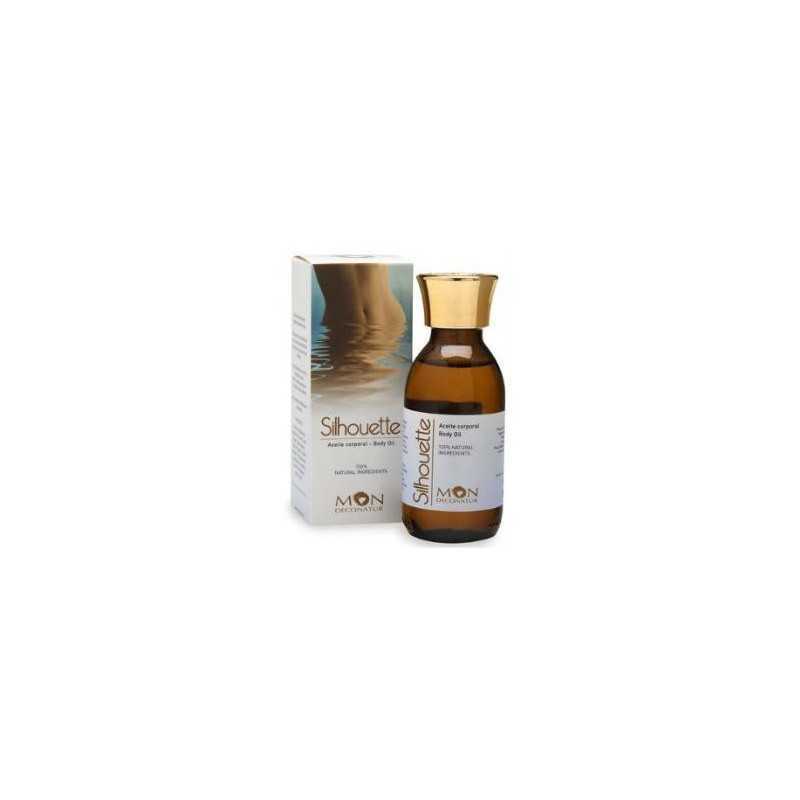 Silhouette body oil has restorative, revitalizing and protective therapeutic properties. It activates the blood vessels and, used before a sport activity, optimizes the results of the training. Apply daily with a gentle massage, until the total absorption of the product. Prunus Amygdalus Dulcis Oil, Limonene, Citrus Paradisi Peel Oil, Citrus Limon Peel Oil, Triticum Vulgare Germ Oil, Coriandrum Sativum Fruit Oil, Camellia Sinensis Leaf Extract, Piper Nigrum Seed Extract, Juniperus Communis Fruit Oil, Pelargonium Oddorantissimum Flower Oil, Foeniculum Vulgare Oil , Cinnamomum Ceylanicum Leaf Extract, Cinnamomum Camphora Bark Extract, Cupressus Sempervirens Leaf Oil, Rosmarinus Officinalis Stem Oil, Linalool, Citral, Citroneol, Geraniol, Eugenol.